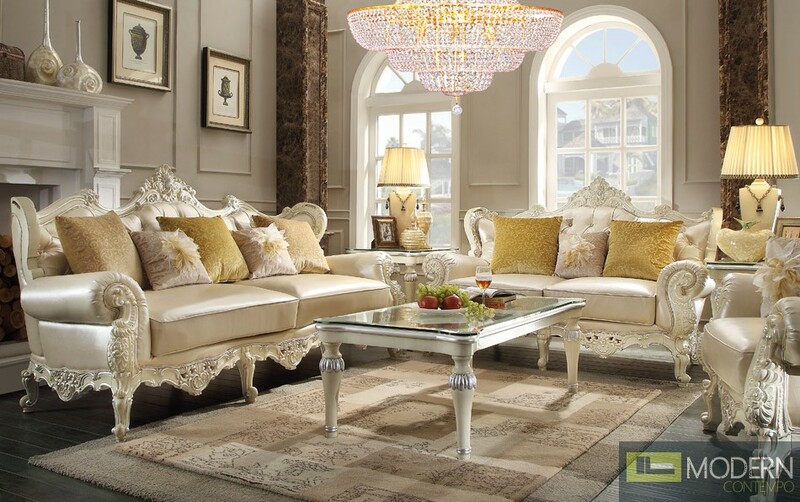 A rare luxury sofa Collection, with elegant romantic French neo-classical all solid Ivory wood. This model is furnished with pearl old varnish, smooth bright silver line and dedicated wood carvings. With selected Cream bonded leather Cushions, backrest and sides. Combined with these shiny Goldenrod Pillows.